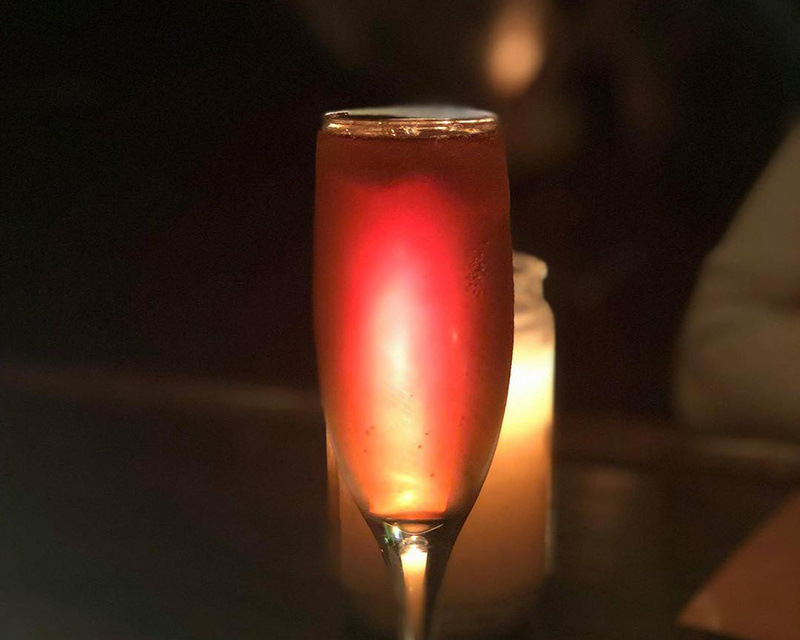 Locally owned and operated, Volstead Bar takes patrons back to the fascinating days of the speakeasy by artfully crafting classic cocktails. Housed in what was the old Dorn Winery and later the Green Door brothel, the Green Door Building is shrouded in Sandusky lore and has seen an array of tenants throughout the years. 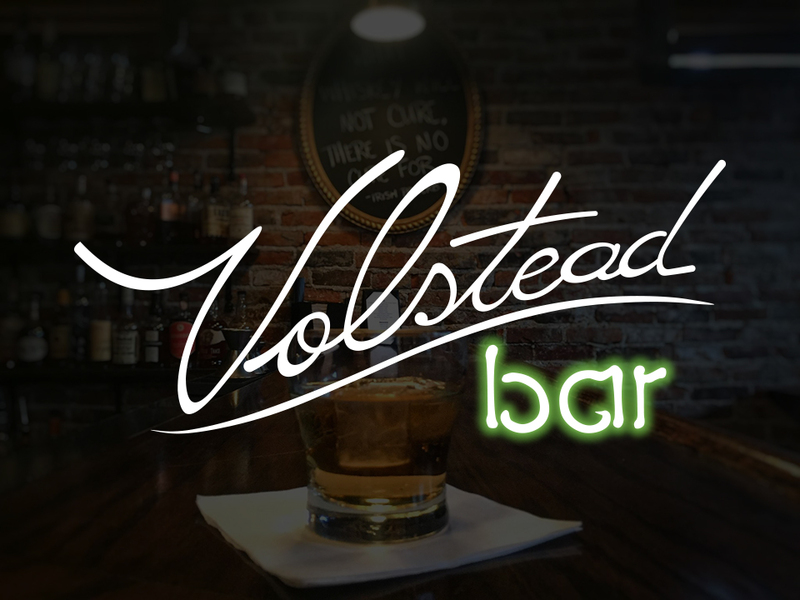 Combining these intriguing historical remnants with the speakeasy practices of the aforementioned years, Volstead Bar harkens back to the days of Old Sandusky amidst the New Sandusky renaissance. New Amsterdam gin, lime juice, Green Chartreuse, simple syrup, egg white. 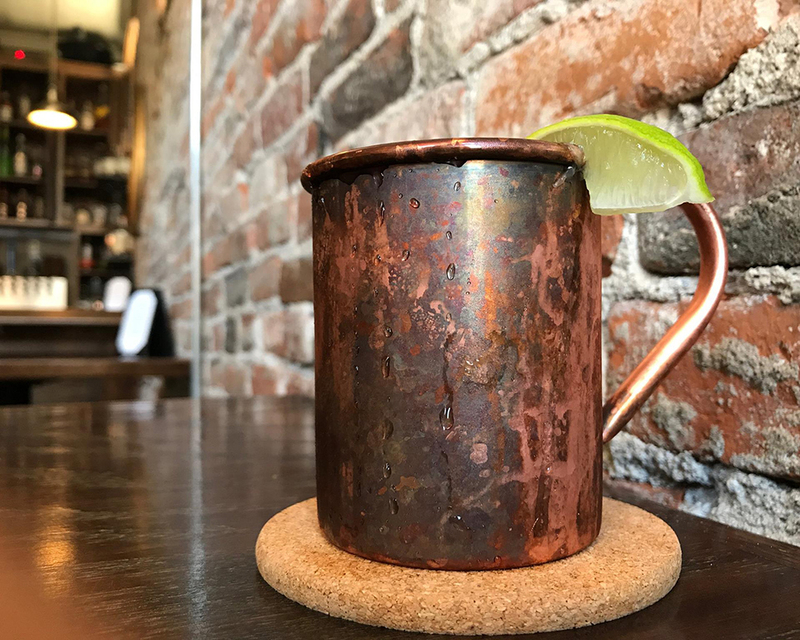 This once illicit booze is said to make patrons hallucinate on account of the wormwood used in the barrel aging process. While it’s hallucinogenic properties were greatly exaggerated, “chasing the green fairy” is quite tasty and a perfectly acceptable form of imbibing. 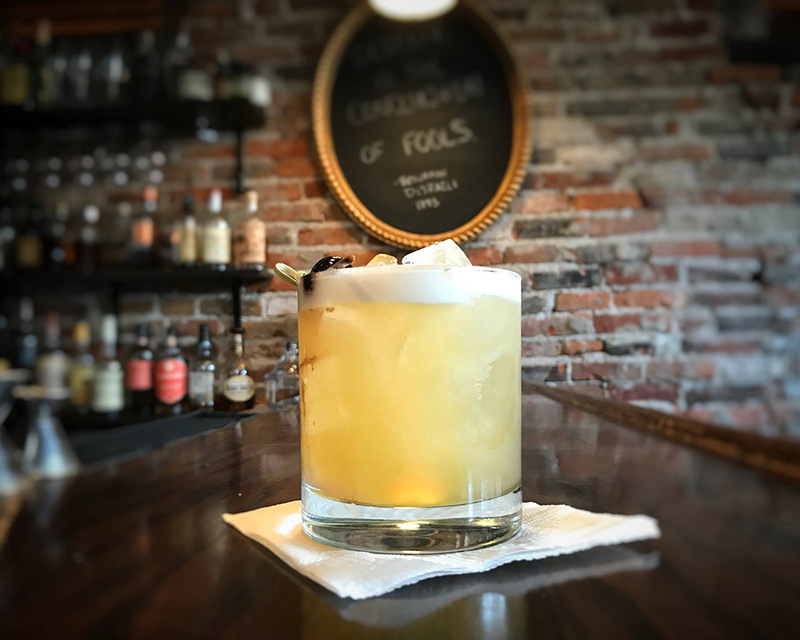 Pussers Rum, Angostura Bitters, lime juice, orange juice, pineapple juice, Maple Syrup.